Select sizes may be backordered. Please use "View Inventory" button below. Tailored fit. Review size chart carefully. Fit is tight in shoulders. If you're in-between sizes, order the larger size, as the polo has a tailored, athletic fit and are tight through the shoulder area. This easy care, high-performance polo wicks moisture, for a cool, professional image. Made of 4.7-ounce, 100% premium recycled polyester fabric with a smooth finish and durable fabric, this polo resists snags and is wrinkle resistant. The long-sleeve polo shirt has contrast navy piping down the sides, and on the raglan sleeves, placket, and cuffs. It features a 3-button placket with dyed-to-match buttons, flat knit collar and cuffs, double-needle hem, and a custom label. The new Certified Volleyball Officials logo is embroidered on the left sleeve. This garment is made from 100% RPET. RPET stands for Recycled PET (Polyethylene Terephthalate) which is a member of the polyester family. The difference is that a PET bottle is molded and polyester is a fabric, but their chemistry is the same. The advantage of these products is that they are environmentally friendly and sustainable. 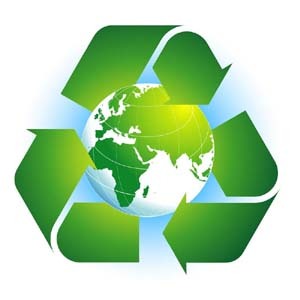 Using RPET helps us to not only keep plastic out of the landfills and oceans, but also to save our natural resources. The PAVO/USAV Interface Committee was created to collaborate and coordinate joint projects and issues shared by the two organizations. The advent of the alternate-colored uniform shirts and the new logo are examples of the positive work of this group, and the valued partnership of the two organizations. vbofficialsgear.com is owned by the PAVO and managed by 2020 Brand Solutions.